Featured Image: Coca Cola 5 cents. 1890’s. This media file is in the public domain in the United States. This applies to U.S. works where the copyright has expired, often because its first publication occurred prior to January 1, 1923. See this page for further explanation. We first ran this report on May 21, 2013. It was so well received back then I decided to re-run it. 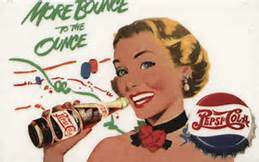 It shows one way corporations became world wide and in this case Coca- Cola used American taxpayers money to pay for its European bottling plants. . . . Your Editor Dennis Crenshaw. In his newly re-released book, For God, Country, and Coca-Cola, Mark Pendegrast explores how Coca-Cola’s despicable business practices built one of the world’s biggest brands. I have created this full version just so that it can be watched from start to finish, Thank to John Pilger for the Great works he has done over the Years! This documentary really does highlight the power the multinational beverage companies Coke and Pepsi have in those formative years of those two companies! John Pilger’s first collaboration with fellow Australian director Alan Lowery, looks at the worldwide struggle for soft drink supremacy by the Coca Cola company, and illuminates the power of multinational corporations. Featured Image: Coca-Cola Headquarters, Atlanta Georgia USA. Source Wikipedia (Released under the GNU Free Documentation License).